The hedge fund industry as a whole continued to struggle with outflows earlier in the year (unfortunately this is the most recent data available). 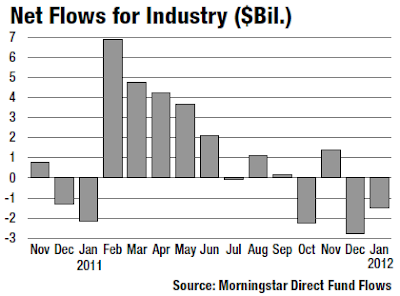 Here are the latest available flows by fund strategy. 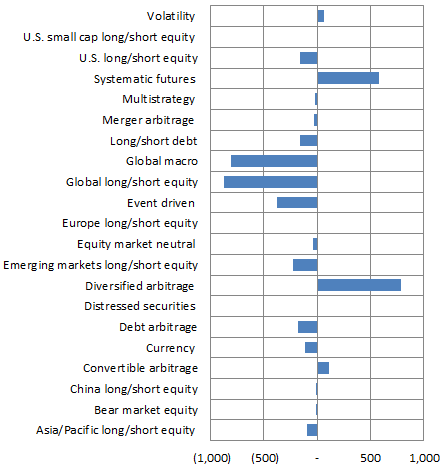 Looks like futures funds and some large diversified funds are the only ones to get material inflows.